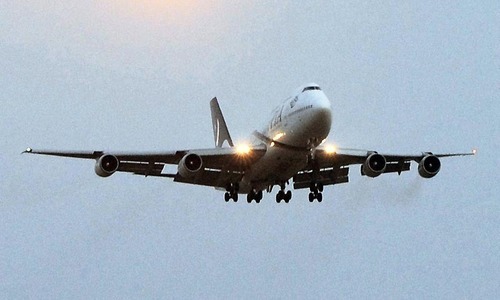 ISLAMABAD: A meeting of the National Assembly Standing Committee on Petroleum witnessed on Thursday a heated debate between parliamentarians belonging to the Muttahida Qaumi Movement (MQM) and Minister for Petroleum Shahid Khaqan Abbasi after the former accused the latter of cashing in on the PIA strike by raising fares of Airblue, the airlines owned by the minister. The two sides exchanged hot words after MQM’s Abdul Waseem called upon the government to further reduce the price of petrol. Mr Waseem accused Mr Abbasi of benefiting from the PIA crisis. Shahid Ahmed of MQM also jumped into the fray and criticised the government for not passing on the full benefit of low oil prices in international market to consumers. The chairman of the committee, Bilal Ahmad Virk, tried to pacify the two MQM members, but they walked out of the meeting in protest. The MQM members were of the view that a reduction of Rs5 in the price of petrol was a joke with people. Mr Abbasi said that he had no shareholding in Airblue and had not visited its office for over two years. 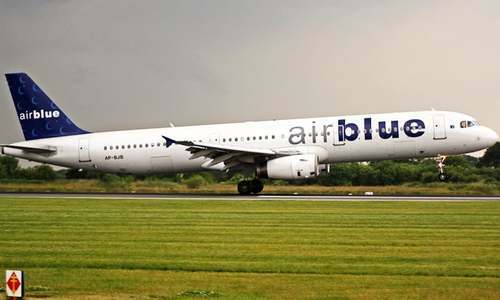 He said Airblue was a public listed company and its shareholdings could be checked from the Securities and Exchange Commission of Pakistan. The minister said oil prices in Pakistan were lowest among all oil importing countries and the government had not made a single rupee from the declining oil prices in international market. He said Pakistan reduced the petrol price by Rs5 per litre whereas in India its price was cut by only 4 paisa per litre, adding that per litre price of petrol in India was Rs101, in Bangladesh Rs130, and in Dubai Rs55. Over the issue of gas loadshedding, the minister said there was a need to introduce a constitutional provision that the province producing natural resource should have first right over it. The issue should be taken up in the Council of Common Interests, he added. Amir Tufail, acting managing director of Sui Northern Gas Pipelines Limited (SNGPL), said that the company was trying its best to manage the gas load. It is following a plan for gas loadshedding so that discomfort of consumers could be minimised. He said the company was providing 0.3 million gas connections every year following permission from Ogra. Director General of Petroleum Concession Saeedullah Shah informed the committee that 11 licences of exploration blocks had been revoked due to failure of exploration companies to fulfil requirement of the work commitment plan. He said show-cause notices had been issued to 26 blocks and hearings were being conducted to take action against more companies which had failed to meet commitments. Shireen Mizari of Pakistan Tehreek-i-Insaf (PTI) sought clarification about the LNG deal. She said the issue had been raised for the sake of transparency. She said her party wanted to know the procedure of the LNG deal and its price. 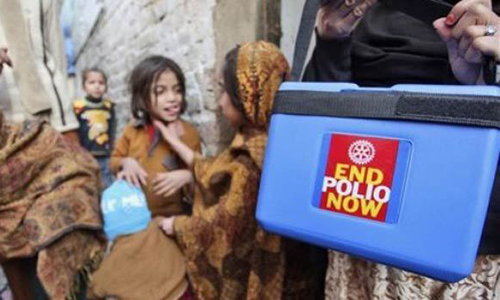 In response, Mr Abbasi said a written reply would be submitted to the committee. Agreed, MQM is 100% right. Useless commiittes with an endless agenda. Just before going for privatization, please must know the truth why there is so much insistence to sell PIA? And, why only PMLN do it all the time it comes in power. The crisis is the sole creation of PIA workforce, nobody else. Of course, other airlines, Emirates, Etihad, Shaheen, Air Blue, Saudia, etc will benefit when PIA won't perform or not fly at all to strike to keep its workers cushy jobs intact. A business cannot run on taxpayers subsidies. No use accusing others from benefit from your own incompetency. The ongoing PIA crises saw 300% rise in air ticket by the other flight operators in Pakistan can the bosses including Khakan Abbasi deny this or explain this unreasonable rise at a time when peoples are standard at airports for no PIA flight operations. "Opportunists", always seen talking about peoples welfare. All dirty politics by the opposition. Money not the Governing Pakistan seems to be priority of PLM-N ministers....if they were in the UK 90% of them would be in jail. I love his reasoning Of NOT Visited The Office for 2 years. . He says Air Blue is a public company. Mr. Minister if some company is a public company and you are the majority owner then that means you have majority of shares may be not directly but indirectly by owning some other company that has bought Air Blue majority shares. The nation should support PIA employees as it is not about privitazation anymore. It is about loss of innocent lives and dictatorship mindset of this corrupt to the core PML-N government. First it was Lahore Model town massacre. 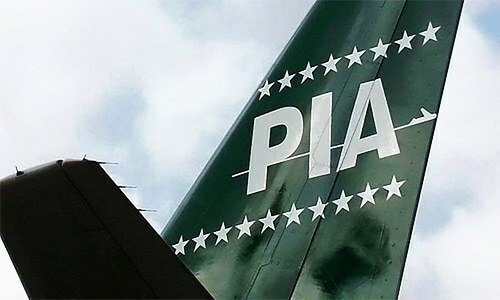 Now its PIA. God knows whose turn is next. Lets get together as a nation and get rid of this democratic dictatorship once and for all. It is a sad day when the owner of a company destroys it to benefit its competitors. Making PIA viable is the harder task and the easy way out is to get the scavengers take it over. Short term benefits for individuals are sacrificed, but the public needs to review its culpability when voting for individuals. The track record of the plunderers is available for all to see. Two lies in a single breath from the minister - "Govt hasn't made a single rupee from the falling oil prices" and "he has no share in airblue". Birds of the same feather flock together, while they accuse others of corruption they themselves indulge in such activities. PMN L Khakan Abbasi should have ordered reduction of fare in the face of PIA shut down instead he ordered increase in fare, these tall talking double standard peoples. I support MQM on their raising voice against Khakan Abbasi double game. We must all agree that currently Pakistan is for thugs and of thugs. The so called leaders and politicians are crooks, yet the ordinary citizens give them the "sahib" respect which they don't deserve.